Kuala Lumpur, 8th December 2016 — The “Selfie Expert” OPPO F1s has always been a highly popular product among Malaysians since its release. Therefore, OPPO Malaysia plans to carry on the success by spicing up the color options for the OPPO F1s. On top of the colour options of Rose Gold and Gold OPPO F1s, the Selfie Expert OPPO F1s is now available in Black Color. Consumers can now pre-order your OPPO F1s Black Limited Edition at the price of RM1,198 / ~US$299 starting from 8th December until 16th December 2016 either at the 20 selected OPPO Concept Stores in Malaysia or online preorder from OPPO here. 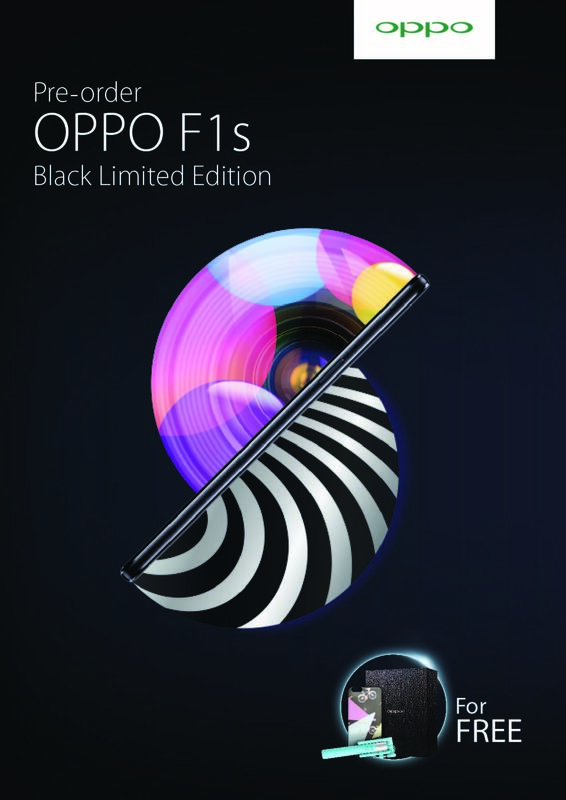 As for the OPPO Concept Stores, consumers may pre-order the OPPO F1s Black Limited Edition for RM100 / ~US$ 25 in the 20 selected OPPO concept stores and pay the remaining amount when it is launched on 17th December 2016, whereas for consumers who pre-order from OPPO’s Official Website will need to pay the full amount (RM1,198) for the OPPO F1s Black Limited Edition. On top of that, consumers will get a free OPPO Selfie Stick and also an exclusive phone case only if they pre-order the “Selfie Expert” OPPO F1s Black Limited Edition within the period from 8th December till 16th December 2016. If you want to learn more about the Selfie Expert OPPO F1s, read our comprehensive review!